The census survey of fresh water dolphins started from Bijnore on Tuesday by a joint team of the forest department and World Wide Fund for Nature (WWF India). The survey is being conducted in the stretch of Ganges from Bijnore to Narora, which is also a Ramsar site (as per the Ramsar Convention on Wetlands in 1971). This stretch of Ganges is known for its good biodiversity that provides habitat to many aquatic species including dolphins. The census started on Tuesday from Bijnore Barrage where DFO Simran M flagged off the survey team of WWF and forest department. Being part of the ‘My Ganga My Dolphin’ campaign of the WWF, apart from the survey, the experts would also try to create awareness among the inhabitants along the banks of the Ganges. 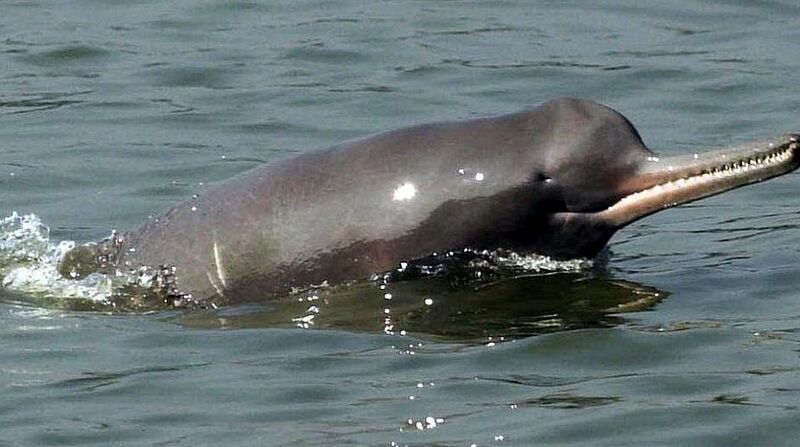 A 35-km stretch was covered on the first day of the census from Bijnore Barrage up to Bheekund Ganga Ghat where 11 dolphins were counted, said Sanjeev Yadav, senior co ordinator of WWF. He said that the number was higher than the previous year’s when 10 dolphins were counted, while in 2015, the number was just 6. “Two calves were also spotted which is a good indication,” claimed Yadav. The census would be completed in five days covering a distance of 250km, said Suresh Babu, Director, Rivers, Wetlands and Water, WWF India. According to Babu, the census is being done in this stretch every year around this time. The count of dolphins in 2016 was 32, 36 in 2015 and 56 in 2012 . Due to the floods in 2013, the dolphins had migrated from here as a result of which the number in the census had gone down, said Babu. In the census Direct Count Method is used which is based on IUCN survey protocol for studying freshwater cetaceans. In 2015 the census survey of the Gangetic Dolphins was conducted across the state in which 1,263 of them were counted against 671 counted in 2012. Fresh water dolphins, which are called ‘Soos’ in local parlance, are highly endangered and found in just four river systems of the World — Amazon( USA), Indus( Pakistan), Yangtze (China) and Ganges (India). In China they are on the verge of extinction. These Gangetic Dolphins are blind by birth and are indicators of good health of a river. They live in deep water and have territorial behaviour.